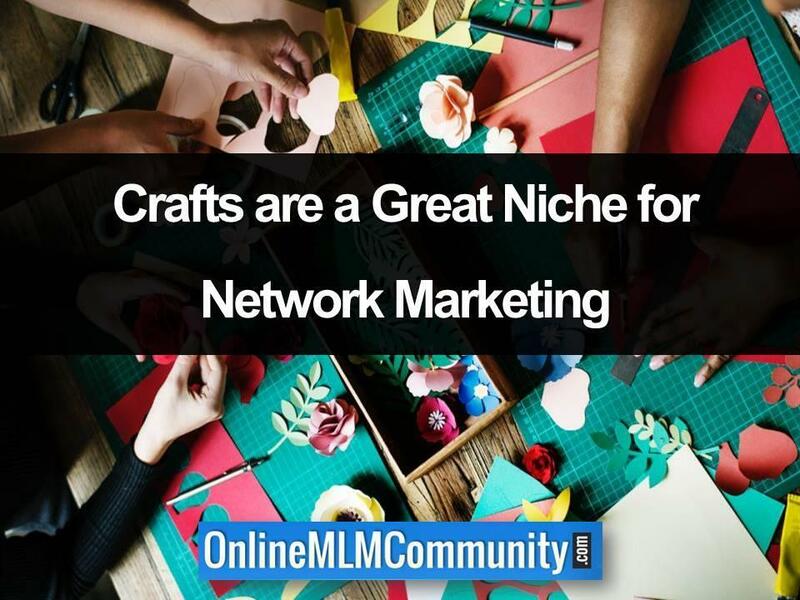 Today, we’re going to talk about the most popular hobby, craft and scrapbook MLM Companies. Do you make various crafts? Do you have a hobby? If so, you might want to consider network marketing. Through a lot of research, I am going to share the top 10 hobby, craft and scrapbook MLM Companies, as I see it. I am using time in operation, revenues and most of all, online reviews to determine the order of this list. 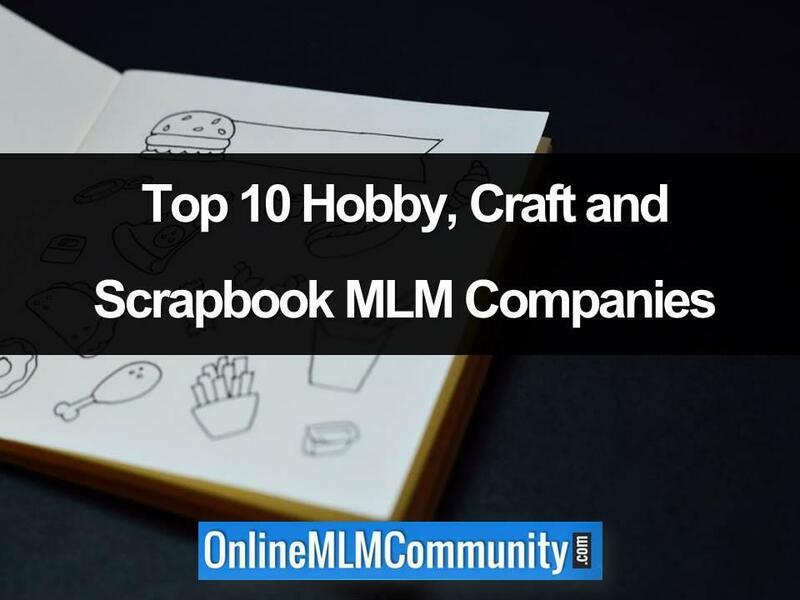 Starting at #10 and working up to #1, here are the top 10 hobby, craft and scrapbook MLM Companies. If you believe you would like to join or just become a customer of any of these companies, you will find their website linked in the reference section at the end of this post. In 2015, Buffy Dumont and her daughter Abby had a vision. Being avid painters they knew many others would love to be able to paint and have fun… So they started Chalky & Company. Using a MLM party plan approach, independent consultants can host “paint parties,” and sell various paints, supplies and such while educating party goers on how to make cool crafts. To become an independent Chalky & Company consultant, the starter kit is only $99 and gives you everything you need to be the expert. And, you can earn up to 30% commissions on sales as well as earning on members you bring in. Chalky and Company is headquartered in Monmouth, Maine. It is the type of idea I have had… Help people write and publish their memoirs. Carol Rice did just that when she founded Cherish Bound in 2010 from her home in Sandy, Utah. While I cannot find a whole lot on this company, you can learn more by visiting the website in the reference section. As a home interior design expert, Tara Rourke realized that many homeowners desire to do their own design. As a result, Tara founded Chalk Couture to empower people to do just that. Chalk Couture designers will give you hints, tips and tricks and they offer many of the materials to DIY (do it yourself). You can design your own, help others do the same, and make an extra income doing so. Based in Leslie, Michigan, Pallet Party is similar to #8. Pallet Party consultants guide you along with creating master works of art and you do not even have to have artistic abilities. They provide the supplies and the know-how, and you design and create. And when your friends and family see the art, they will want to join your team. Britney Vickery founded this unique party plan MLM that allows you to choose a bag, hat or other item and personalize it to your taste. Independent representatives will have a party and take orders to design your special item… Or, you can be the rep and help others design their own and make money doing so. Uppercase Living started in 2006 and just keeps growing. They have a wide range of products so you can design your own living area. Many are customized to fit you and your family’s personality. And customers have the ability to add their own personalization. You can start your own Uppercase Living home based business and make great profits. This craft MLM Company was started back in 1988 in Riverton, Utah. They offer many crafting supplies so you can design cards, posters and a whole lot more. What’s more, Stampin’ Up provides the instructions on how to create and design, so your crafts are expertly done. This company is a member of the Direct Selling Association and abide by all their ethics. Now a subsidiary of Youngevity, Heritage Makers was founded in 2004. The heart of Heritage Makers is publishing life’s memories in hard back books or in other formats. And this is all done via a multilevel marketing business format. Heritage Makers has been climbing in stature and they may just move into #1 in the near future. Scrapbooking is a huge hobby for many people. This MLM started in 2002 and selling scrapbook supplies as well as ideas and templates is the primary objective. Many people love this MLM and it has grown substantially since starting. Close To My Heart is headquartered in Pleasant Grove, Utah. Creative Memories is known as the most popular Scrapbooking MLM Company in the United States. But in 2012, many wondered if Creative Memories would become just a memory. But seeing opportunity in a great company and product line, Caleb Hayhoe acquired Creative Memories and has made it even better. Based In St Paul, Minnesota, Creative Memories easily wins the top craft MLM Company at this point in time. Have you, or do you work with any of these hobby, craft and scrapbook MLM Companies? Do you agree with my list? Please post your comments or questions below and as I said, if you want to join any of these companies, their links are listed below. Thanks for visiting! Have a great day. Disclaimer: We are not affiliated with any of the above MLM and Direct Sales Companies. This information is for educational purposes only and we receive no compensation for this review.